Reality Refracted: Discussion: What Got You Into The Hobby? Discussion: What Got You Into The Hobby? I cycled through several ideas for this post, but asking what got folks into the hobby kept coming back up. So what got you into role playing? For me, it was effectively my cousin John. 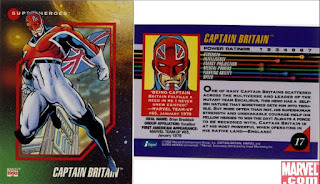 John ran the first RPGs I'd ever play starting with a system - of sorts - he made using the power rankings on the back of the 3rd series Marvel collectible cards. From there we progressed to a Star Wars type system, and then - eventually - into the Dungeons and Dragons box set, before moving onward with Palladium's Teenage Mutant Ninja Turtles and Heroes Unlimited lines of games. It came that everytime I'd spend time with my cousin - usually a weekend every other month or so - we'd play these games and I grew to love them. 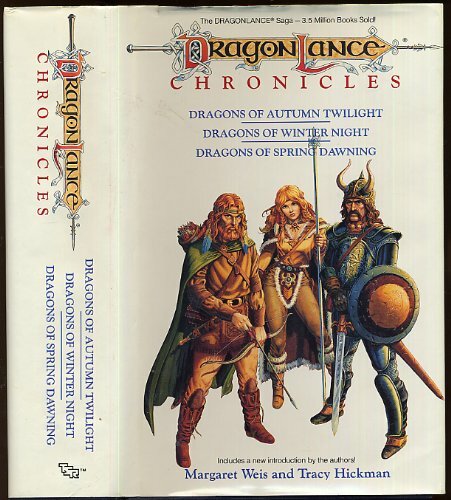 The exposure also brought me into Fantasy and Sci Fi culminating in my first "for fun" book I read, the Dragonlance Chronicles. At this point I was hooked. The Dragon Lance Chronicles made me a reader, and while I mostly stuck to Fantasy and Sci Fi books I've since branched out. It also gave me a better idea for how these games I played with my cousin could be, and I began seeking out other games on my own. I began GMing, starting with the Palladium systems and running a long one on one Robotech campaign with my friend. Some of these games, especially my ones, were horrible....but they were fun. To this day I have fond memories of sitting in my Uncle's studio listening to music and playing those one on one games, be they D&D, Heroes Unlimited, Robotech, Toon, or otherwise with my cousin. I haven't looked back since, and frankly I see no reason to. How about you? What got you into the hobby? 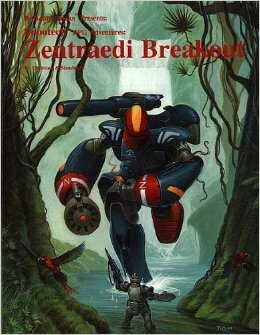 As a fun aside, the book below was the first pre-canned adventure (not in the back of the Heroes Unlimited book) I ever tried to run. I mucked it up so bad that to this day I don't trust myself to run pre-canned adventures and mostly just use them for ideas/directions. Oh man, that card brings me back. I remember doing something similar in daycare, where we'd use those same Marvel cards to create our own characters. It was less a game and more just playing pretend, but it was a huge influence on me building my own characters to fit into existing universes. That later led me to fan fiction. I'm not sure I can point to any one event that got me into the hobby, except hearing about D&D, wishing someone would invite me to play, and then having a friend invite me to join his game. I came into RPG from wargaming, which I had only just started when I learned about D&D. Our local library (in Eugene, OR) has a wargaming club, which my mother noticed a flyer for, and I started attending. My earliest RPGs played were D&D, Traveller and Runequest but later we played a lot of Champions and other settings using the Hero system. But overall D&D in all its flavors dominates my RPGing time. My first exposure to an RPG was a dungeon crawl computer game called Castle of the Winds. I loved it. Shortly after I saw an add for a Star Wars RPG, I imagined something like Castle of the Winds in the Star Wars universe and quickly bought it. I was shocked when I got a book instead of a cd or floppy disk. It was the Star Wars 2nd Edition from West End Games. I read it through a couple of times, and thought I had the general idea. Unfortunately none of my friends wanted to try it, and I couldn't explain it to my younger siblings. So I ended up spending my teenage years playing Star Wars, and later D&D alone. I have since then had the opportunity to play in a couple of groups, but I've never played the original Star Wars with anyone but myself.